Closed-circuit television (CCTV) systems may seem more old-fashioned than cloud-based security cameras, but CCTV systems have several upsides. For starters, they allow you to connect all your cameras to one device. 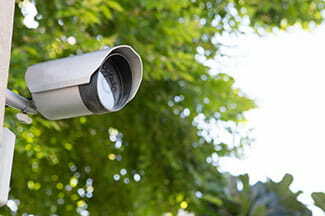 CCTV systems also use cables to connect directly to the hard drive, often leading to shorter loading times than you would get with a DIY system that connects to Wi-Fi. Perhaps best of all, CCTV systems are often less expensive than purchasing multiple DIY security cameras. 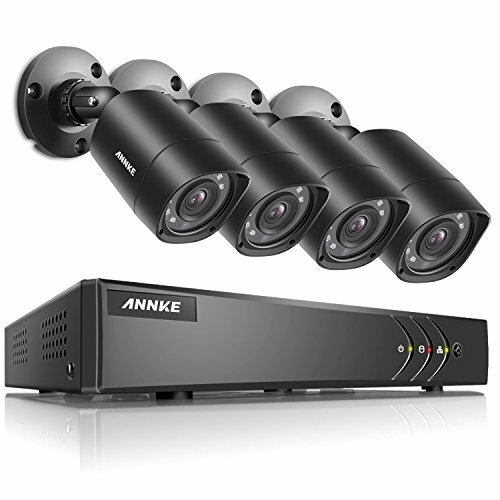 Check out our five picks for best CCTV systems under $400. CCTV systems are commonly used for businesses, but some homes use them for their security purposes as well. Below we’ve listed some reasons you may like a CCTV system versus a DIY system as well as some disadvantages to these systems. 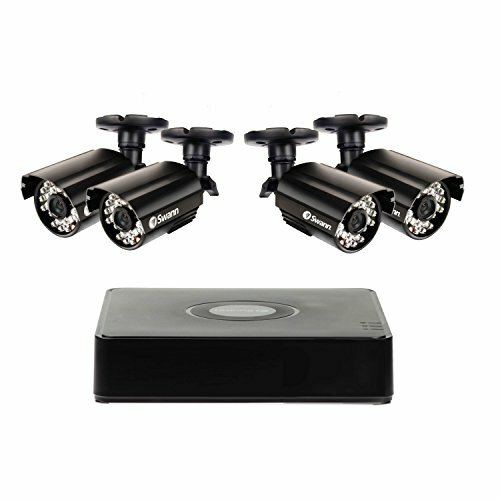 An all-in-one CCTV system (including the cameras, cords, and hard drive) can be much less expensive than a DIY system. Having a CCTV system installed at your home can be a selling point for potential buyers. CCTV cameras aren’t inconspicuous, so potential burglars may see them and become intimidated and less likely to rob your home or business. Multiple cameras give you multiple viewing angles of your property. CCTV cameras can be bulkier and less aesthetically appealing than DIY camera systems. 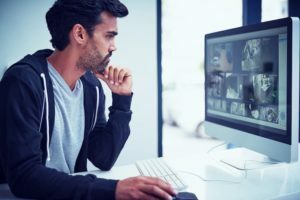 Recording 24/7 can make it difficult to skim back through footage for an event, which is why you may want to set your system to record by motion. CCTV systems tend to be less customizable than DIY systems. Amcrest is our #1 pick for best CCTV system for many reasons. For starters, the cameras can operate in temperatures as low as -22°F. This is crucial for those who live in areas with winter temperatures that reach single digits or even below zero. My husband and I discovered this winter that our security camera could handle only 14°F and it was below zero, so our home was left unprotected when the camera stopped working. The Amcrest cameras are made out of sturdy metal so they can truly withstand the elements. 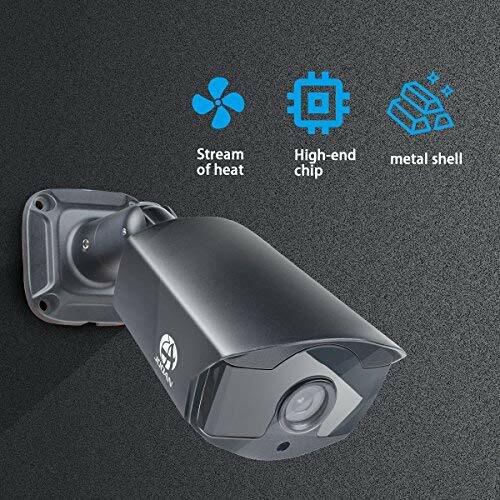 Perhaps the coolest feature of this system is its motion detection feature that allows you to create active zones, which alert you when the cameras detect motion within the zones. The Amcrest includes a 1 TB hard drive, which means you could have up to 30 days of recordings if you use motion detection or lower resolution settings. The highest resolution for this system is 960H and it records at 30fps (frames per second). One thing we’re a bit bummed about is that the bottom of the Q-SEE’s temperature range is only 14°F, which isn’t as low as other CCTV systems in this article. This makes it unusable to a large portion of people who live in climates that experience extremely cold winters. The Q-SEE warranty is two years, as opposed to the one-year standard the rest of the systems we reviewed have. The 1 TB hard drive included can hold about 10 days of 24/7 recording for four cameras. These cameras record in 720p HD resolution at 30fps. Many similarly priced systems include a hard drive, which this system does not. One of the biggest complaints about the ANNKE is that the cameras are made out of plastic, which makes it easy to strip the screws, so make sure you’re careful installing all the components. Customers also report less-than-stellar night vision quality beyond 15 feet. Similar to the JOANN system above, you get about 10 days of recording with four cameras in 1080p at 12fps. Similar to the ANNKE system, the Swann lets you skim back through footage to find incidents that happened throughout the day. The camera allows up to 1080p resolution at 30fps. At default settings, you can get three days of recording, but if you lower the settings you can get more than 15 days of recording on a 500 GB hard drive with eight cameras. Perhaps one of the most obvious items to think about is where you will install the cameras. If you want them outside, make sure they can be used outdoors. All of the CCTV systems in this article are both indoor and outdoor capable, so you can place them wherever works best for you. After you have an idea of where you want to install the cameras, you’ll need to know how many cameras the system will be able to handle. 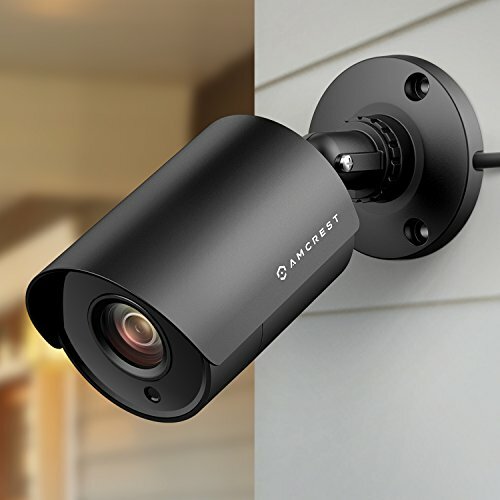 If you want one by the front door, garage, back door, and shed, you’ll want to make sure the system can handle at least four cameras. If you’re considering expanding in the future, make sure you purchase one with additional channels. All the systems in this article include four cameras but have eight channels, so you can add cameras on as you see fit. Another important thing to look into is whether the system requires additional equipment to work. 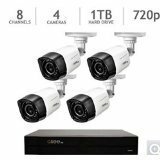 Some of these CCTV systems on this list include a hard drive, while others will need them purchased separately. These will also need to be hooked up to a TV or computer for you to monitor the footage. Home security is necessary for helping you and your family feel safe, but it’s up to you to decide what level of home security you need. A CCTV system gives you the convenience of an all-in-one system without you having to do a lot of hands-on work. If you’re looking for a relatively inexpensive all-in-one system that performs well and adds convenient local storage, we recommend any of the systems above. Each system on this list come with its own benefits, so you should be able to find the perfect one for your needs. Ask us your CCTV system questions, and we’ll help you find the best one for your needs.